I was thinking about the types of books I read when I was a girl, trying to examine the vector that led me to the sorts of things I enjoy reading and writing today. Everyone knows that the books termed “middle grade” and “young adult” in today’s lingo constitute some of the most formative input you’re likely to receive in your lifetime, so it’s interesting to look back and see just what exactly I was shoveling into my innocent little head. I realized, as I was doing this, that the ones that really stood out were mostly about, or written in, the 19th century. Little Women, Little House on the Prairie, the American Girl books (my favorite ones, at least) – even the abridged versions of things like Les Mis and Great Expectations, thanks to the Great Illustrated Classics series, which I will certainly buy for my own kids someday. That’s not to mention the years I spent studying the Civil War in grade school. I realized that the parts of all these narratives that stuck in my head the most had to do with some terrible disease striking one of the characters, usually women, who then either wasted away or was left to live with some daunting handicap. One of the first stories I ever wrote was a project for school about Sam the Drummer Boy who got his legs shot off with a cannon ball. Poor Sam. 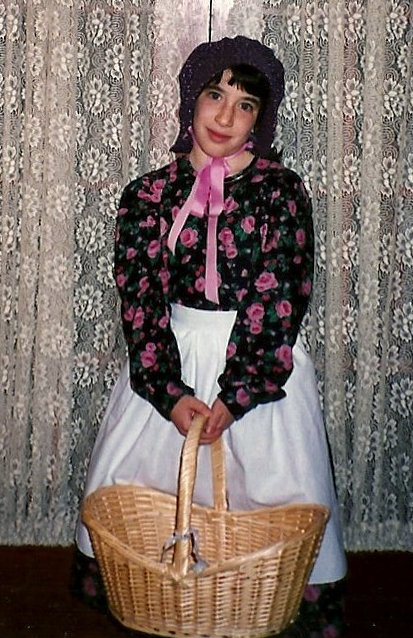 Don’t tell me you’re not jealous of my totally sweet pioneer girl Halloween costume, though. On one hand, that’s perfectly fine. I mean, in actual history, that happened all the time (the disease; not necessarily the cannon balls). It’s a very realistic feature to put in a book if you’re trying to explain what life was like back in the day, and it provides a very convenient amount of drama for the author. But it left me thinking an awful lot about things like cholera and typhus and the influenza, as an 8 or 10 year old, at an age when most little girls are still being princesses or, heavens forbid, starting to get interested in makeup and clothes and boys. Most kids were afraid of the monster in their closet: I was legitimately terrified of getting scarlet fever and going blind. And while I’m certainly glad that I was exposed to some great works of Western literature at such a tender age, and that they instilled in me certain values that I wouldn’t trade for anything, there was a lot that was very frightening about that world: so much was completely out of people’s control, and death could strike without warning or hope of survival. That’s a scary thing for a kid, especially as sensitive a child as I was, and it’s something that’s stayed with me since. You might be thinking, “good gracious, what kind of parents would let their child read such violent and horrible stuff?” But to be honest, it wasn’t half as bad as the stuff that’s marketed to kids these days, and at least it was historically accurate. Also, they read this blog, so be nice. The fact that this seemed to be a typical outfit during my youth surely had nothing to do with my old-fashioned sensibilities. Also, that’s a coin bank, you guys. It was the best thing in the universe. genre? That’s because I read The Hobbit in third grade and never looked back. But that’s another post. Besides, even though there’s violence and death in fantasy all the time, it rarely comes at the hands of something as ignoble as severe gastrointestinal distress. I think it’s fascinating how such little things can shape the person you’ll become. Would I have majored in something useful if I hadn’t been so enthralled with Laura Ingalls? 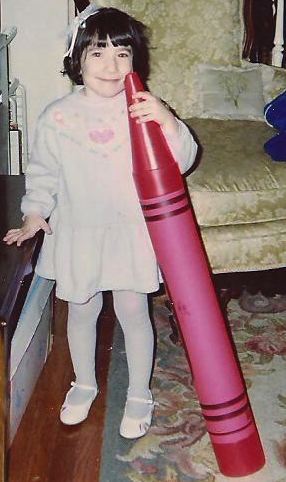 Or would I have failed to gain the passion, skill, and imagination to speak and write as competently as I do today? Maybe both, and I’d be an accountant. Okay, when I put it that way, it doesn’t sound so bad. At least I’d have job security. But I wouldn’t be me, and even with all my copious faults, I kind of like that part of being me. So go pick up a boxed set of Little House on the Prairie for the girls in your life, although don’t get the cookbook and try to make molasses candy in a pan of snow, because we could never get that one to work. You’ve been warned. I read a lot of 19th century fiction as a kid too. Lots of Charles Dickens, Robert Louis Stevenson, Edgar Allen Poe. A lot of history books as well. So many of our classics were written in that time period, it’s kind of hard to avoid if you want to read good books.